I looked throught the very first issue of The Crisis. The picture on the cover threw me off just a little bit. It was a picture of a child with a hoop and stick. I thought there would be something related to it inside the journal, but I did not find anything directly related. The advertisements were all in the last several pages of the journal. I read some of the stories and as interesting as they were some of them were sad and disturbing. I know that coloured people were not treated fairly in the early days of history, but to read actual events of cruelty made me a little uneasy. I couldn't believe how people were treated back then and how so many events were ignored or stories changed because of the colour of someone's skin. After reading this journal I believe there was some bias, but that was to be expected. Some of the advertisements were directed toward coloured people and others appeared to be more generalized. 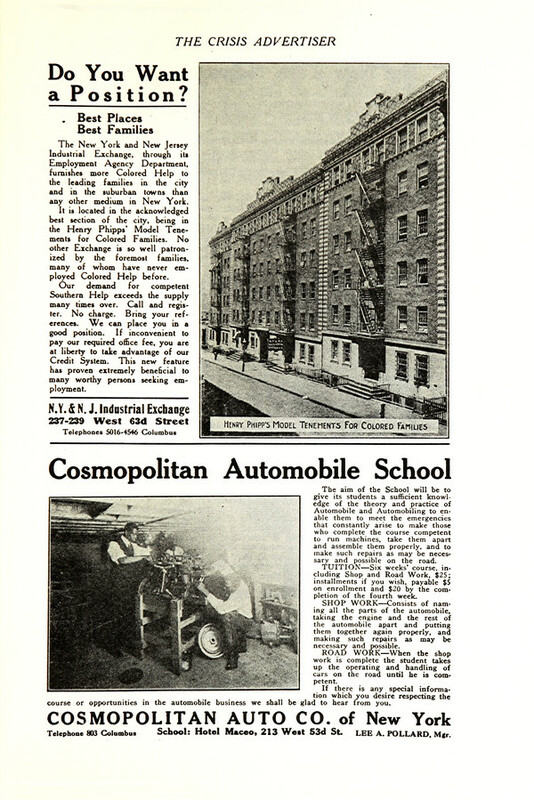 There were ads for education, housing, work and several products. This appears to be a journal that non-coloured people probably did not read. If they did, it makes me wonder what they would think or how they would react to reading any of the articles posted in the journal. Is this the cover you're talking about? 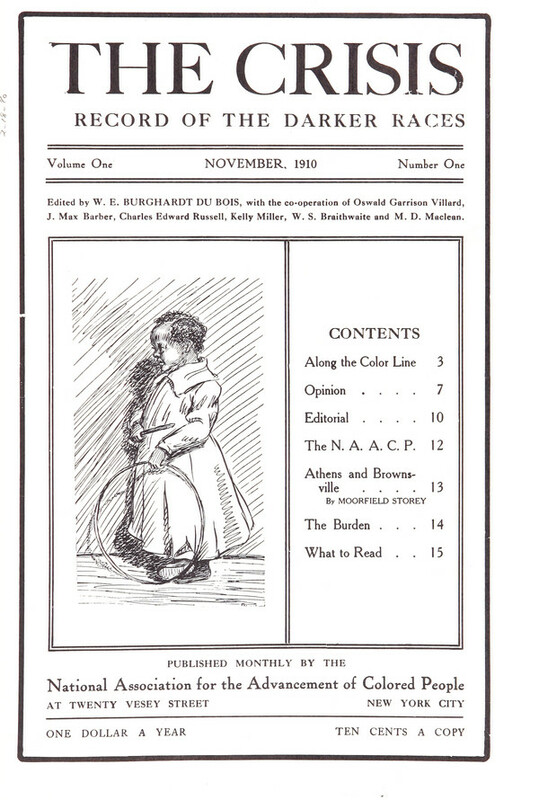 Also, when writing about magazine issues, always include the date (in this case November 1910). When you don't see something that relates directly to one item, then think about how things might relate indirectly. For instance, I see an ad in the back for an agency that places African-Americans with "the leading families" (meaning white) in New York City and its suburbs. There seems to be something about the tension between self-advocacy and self-presentation for favorability at play in both the cover and that ad, don't you think?